Financial and tax reporting are necessary evils that are here to stay. Almost any corporate transaction in the world involves a highly-specialized set of financial reports to be done, both for securities regulators such as the SEC as well as tax authorities like the IRS. BVC is a company you can trust. Accountants, attorneys and private equity fund managers refer their valuation requirements to us because we have unequaled boots-on-the-ground experience. We get the job done painlessly, and objectively, regardless of how complex or troubling the situation may appear. Particularly in the tech world, intangible asset value is a critical component of most companies’ balance sheets and, in many cases, represents its most highly valued asset class. When one company acquires another, there is a need to make a purchase price allocation, which establishes the values of each specific asset comprising the total purchase price. Oftentimes, a major part of this process is the valuation of the company’s intangible assets. This process must be handled properly and requires expert industry and technical valuation knowledge. When it comes to financial reporting, it needs to be flawlessly accomplished by experts with the proper credentials and past experience, to be authoritative. You just can’t scrimp on something that makes the difference between winning and losing lawsuits, avoiding fines or defending against potential accusations of corporate malfeasance. Having re-written the guidelines for business valuation procedures now used by the SBA, BVC is the recognized authority in the valuation industry with an opinion reporting capability that holds up under the most intense audit and regulatory scrutiny – first time, every time. Over the years reporting requirements have grown more and more involved for businesses. The Securities and Exchange Commission, the IRS and other entities have developed tomes of regulations to ensure that businesses deal in a fair and truthful way with investors, stakeholders and the public at large. 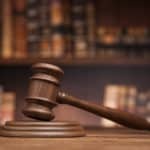 Often valuable in in ensuring the ethics and honesty of financial dealings, these regulations nonetheless have become quite a burden on companies. Highly specialized knowledge and experience is required in nearly every area of running a company to ensure that the financial reporting is being done correctly. This is where BVC comes in. When a company’s accountant or lawyer tells the board that certain financial valuation reports are required, an expert is needed —a business valuation firm. BVC has this highly-specialized knowledge in order to ensure a company is satisfying regulatory requirements. We not only have that specialized knowledge but also decades of experience. BVC delivers expert valuation services that fulfill all financial reporting requirements, satisfy CPAs and audit committees, and meet the compliance standards of the Securities and Exchange Commission, IRS and other regulatory agencies. Mergers and acquisitions require special financial reporting before and after the transaction. Whenever businesses are combined, tax regulations and generally accepted accounting principles demand that the board engage in certain financial reporting, such as the preparation of a purchase price allocation. Business combinations involve all classes of assets, both tangible and intangible, as well as liabilities. These transactions require performance of a purchase price allocation in accordance with ASC 805 (for companies reporting under US GAAP) or in accordance with IFRS 3R (for companies reporting under IFRS). 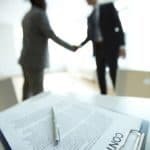 This means that following a business combination, companies are required measure and report, as of the date of the acquisition, identifiable assets acquired, liabilities assumed and any noncontrolling interest in the acquiree. Another element of standard financial reporting is impairment testing, meaning that companies must perform a standardized accounting assessment to determine whether their intangible assets have lessened in value since the last time they were appraised. According to accounting rules under ASC 350 goodwill and certain intangibles are not amortized. Rather, these assets must be periodically tested for impairment. They must test their goodwill for impairment at three different points in time. The first is the transitional test, which was required at the beginning of the fiscal year in which the Statement was adopted. In general, the valuation methods used for the transitional test must be consistent with all subsequent impairment testing. The second type of impairment testing is the interim test, which is required if certain “trigger events” occur, such as adverse changes in the business climate or market which might negatively impact the value of a reporting unit. Finally, companies must also perform annual tests for impairment. The goodwill impairment tests are two-step processes. The Step One impairment test compares the fair value of a reporting unit to its carrying value. If the fair value exceeds carrying value there is no goodwill impairment and the test is complete. If not, impairment is indicated, requiring a Step Two impairment test. The Step Two test quantifies the amount of goodwill impairment. In any transaction involving the acquisition of another company there is a need to make a purchase price allocation, which establishes the value of each of the assets that went to make up the purchase price. This has numerous uses in financial reporting. Particularly in the tech sector, intangible assets can make up a very large part of a company’s worth. Intellectual property, brand value, patents, processes and goodwill all require specialized valuation techniques to ensure that they are adequately accounted for. In all of our financial reporting services, BVC has hard-won expertise is the valuing of intangible assets. As one of the first companies to come up with methods of valuing internet companies during the early days of the dot-com boom, BVC is a pioneer in this field. Regardless of how unique the intangibles are that you’re trying to value, BVC has the expertise and experience to deal with them correctly and arrive at a true value for the assets. Private equity funds have their own unique reporting requirements which require a very deep understanding of their particular needs. 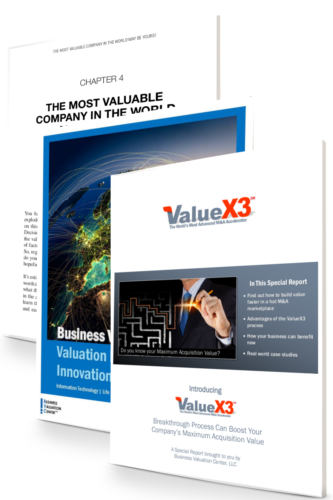 As the primary valuation advisor for the Small Business Investment Company Program—with more than $24 billion invested in 4,500 companies – BVC was asked to author a comprehensive report on the current venture capital and private equity valuation methodologies. This report recommended significant revisions to SBA’s valuation guidelines. Most of the recommendations have been incorporated into the current set of SBA’s Valuation Guidelines for Small Business Investment Companies (SBICs) and related TechNotes. One whole family of valuation services are those related to tax reporting. The Internal Revenue Service requires many aspects of one’s financial picture to be fully and accurately reported to them. The only way to do this in many cases is with specialized valuations. Both corporate and personal taxes can involve situations which are highly complex and require precise knowledge of financial reporting. If done incorrectly, this of course, has expensive ramifications. Additionally, correct tax planning takes these same elements into account so that actions can be taken to put oneself in the best possible tax situation. Corporations are in the business of producing products and making a profit. They aren’t in the business of financial reporting. However, everything a corporation does has immediate tax ramifications. Because they can be costly these must be taken into account in any major company transaction or planning. When stock, property or other assets are being transferred, as in gifts or inheritances, each of these has a value. This value has to be reported accurately to the IRS and can have large ramifications on estate or gift taxes. It is vital to have a realistic, true picture of the value of assets transferred. This is done through specialized valuations for tax purposes. At BVC our mission is to provide our clients with a clear-eyed analysis of the information so that, armed with the facts, they are able to make the best decisions about their financial future. Why BVC For Tax-Related Valuations? 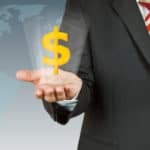 Unlike many firms involved in tax-related valuation BVC professionals undertake hundreds of assignments each year and testify on a frequent basis. Our professionals regularly assist in arbitration, mediation and settlement negotiations in various tax matters. BVC’s experts have provided tax valuations for more than 25 years and our exclusive focus on valuation and related issues provides the independence crucial to objective corporate tax valuations. Subtle but important differences exist between valuation for tax reporting and financial reporting and our consultants have relevant experience in these matters. Employees are often given stock options or equity in a company as compensation. This requires its own set of reporting requirements to determine the value of the compensation given, because it must be reported to the IRS as well as on the company’s financial statement. Specifically, FASB ASC Topic 718, Compensation – Stock Compensation, requires that the full fair value of an equity-based instrument be recorded as compensation expense. In addition, IRC §409A provides guidance on the tax treatment of equity-based instruments granted as compensation. This stock-related compensation must be valued using the most suitable methodologies, taking into consideration specific characteristics of the compensation. BVC develops flexible, individualized financial models to provide comprehensive and well-supported valuations for options, stock incentive units, restricted stock and other equity instruments. Many private companies, particularly those backed by venture capital or private equity investors, plan to generate a future return for their investors through the initial public offering (IPO) process. A key valuation issue with an IPO is the fair value of equity-based securities issued as compensation in the periods prior to the IPO. The value of stock prior to an IPO is almost always less and thus “cheap” in comparison to the subsequent IPO price. However, proper documentation of stock values in the periods preceding an IPO allows companies to support the fair values of their stock. BVC works closely with companies and their auditors to review capital structures, business plans and the terms and conditions of equity-based compensation plans to determine the fair value of share grants and options. Valuation of the total equity of the business using appropriate methods, whether the traditional cost, market and income approaches, or unique techniques used with start-up companies. Allocation of the value of the equity to different classes, such as preferred stock and common stock, and to other instruments, such as options, warrants and convertible debt. This is typically done using option pricing models, but may require a Monte Carlo simulation. Valuation of the discrete options and warrants, when necessary, by selecting an appropriate option pricing technique, such as the Black-Scholes-Merton model or a binomial (lattice) model, after assessing the characteristics and terms of the specific instruments. 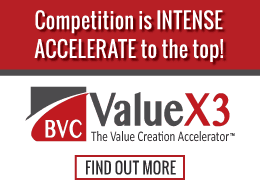 Click on a link below to find out how BVC can help you create value in your current company and plan for the future.